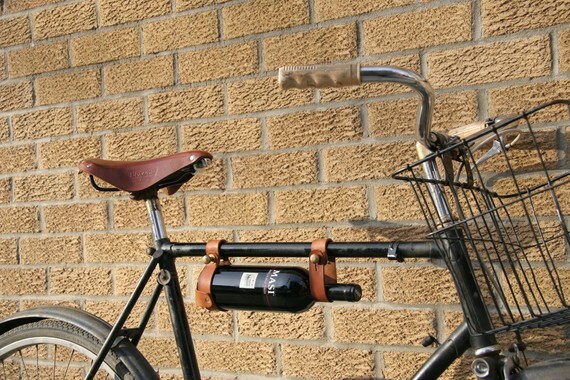 The handmade leather bicycle wine rack is perfect for taking wine with you on the go. It easily attaches to any 1″ bike frame with antique brass fasteners, while the hidden clamping mechanism holds the bottle securely. The olive oil-treated vegetable-tanned leather will only look better as it ages. *Perfect addition to a fun car-free lifestyle! Check out a video of the craftsmanship of the rack after the jump, and if interested, purchase here. File this under "things I wish I would have invented" (I'm not cosigning the use of the frisbee in the video, though).